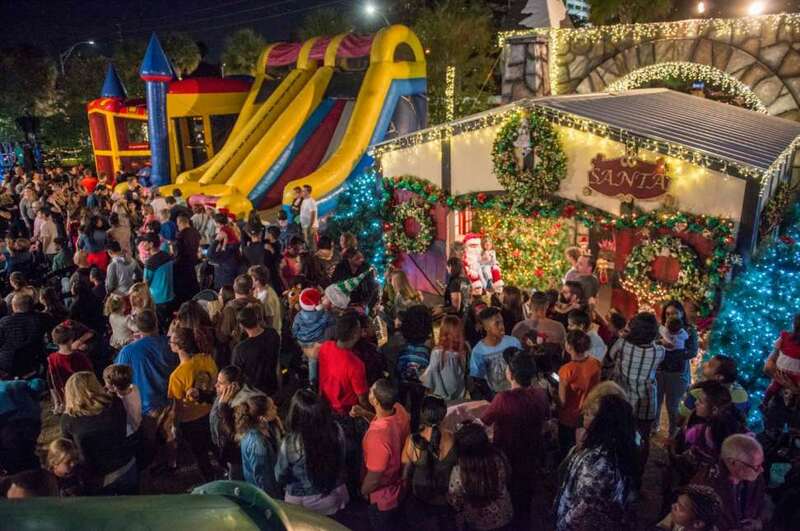 Certain groups get free passes to Downtown Clearwater's 26th Annual Winter Wonderland and all of its activities. Winter Wonderland opens on December 1st at 6:00pm. CLEARWATER, Fla. - Nov. 29, 2018 - PRLog -- The Clearwater Community Volunteers is offering free passes to Downtown Clearwater's 26th Annual Winter Wonderland to active military families, families benefitting from the Shriners Hospital for Kids, Clearwater Police and Fire Departments, staff of American Power and Gas and foster families; guests will need to provide proper ID to receive the free pass for activities in the holiday village. Winter Wonderland's Grand Opening is on December 1st at 6:00pm on the corner of Fort Harrison Ave. and Drew Street. The event is sponsored by the Clearwater Community Volunteers (CCV) and the Church of Scientology Flag Service Organization. Children in the above groups are able to participate in the many activities including, cookie decorating with Mrs. Claus, visits with Santa and his elves, pet baby animals, ride ponies and the Winter Wonderland train, slide down the 20-foot slide, jump in Winter Wonderland's bouncy house and take a spin on the human gyroscope. "We are very happy to provide this service to these groups," said Pam Ryan Anderson, Executive Director of the Clearwater Community Volunteers. "These groups provide so much for the community and this is our way to give back to them. Every child should be able to have an amazing Holiday Season." Clearwater's Winter Wonderland, opening December 1st, is also a food and toy drive for needy children and families. Visitors are asked to bring an unwrapped toy or non-perishable food item and put it in Santa's sleigh. All of the donations will be given to the Pinellas Sheriff's Police Athletic League to support families over the holidays. Winter Wonderland will be open every day from 6pm to 9pm through December 22nd, except on Mondays and Tuesdays. Though admission is free, there is a small charge for some activities and the food items in the Hot Chocolate Shop.